Champing at the bit for a slice of Cortana action? The torturous waiting period is almost up. The Windows Phone UK Twitter and Facebook accounts have both sent out a teaser picture of Cortana's ominous blue circle along with the caption, "Soon." As this was done specifically by the UK profiles, it would suggest that the Windows Phone 8.1 personal assistant is due to be rolled out to Brits in the not-too-distant future. 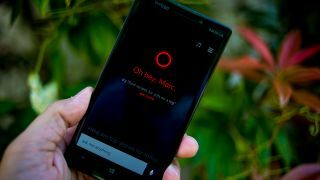 So far, Cortana has only been made available as a beta in the US, but a global rollout is set to begin later this year.